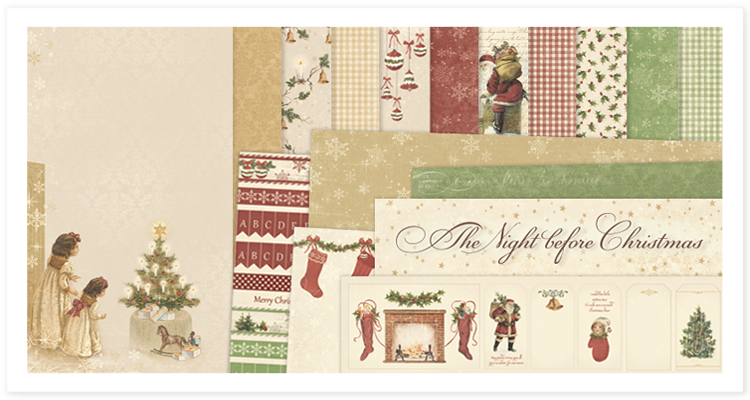 The Night Before Christmas consists of 14 papers in the size 12×12”, including two image sheets, as well as 4 single sided papers in 12×12” with 4 designs in 6×6”. WoW WoW WoW again so a beautiful line from Pion Design. I have almost THE hole collection from all THE papers can wait for this new line again iT is so amazing and beautiful.